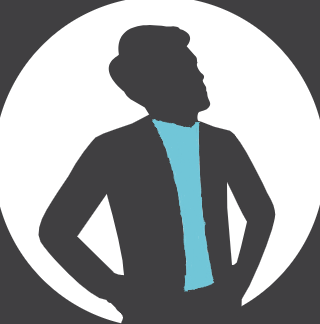 My blog’s category “Dear Power BI” is all about charts and visualisations created using Microsoft Power BI. 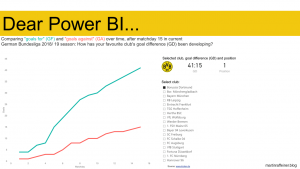 Here you can use Power BI to explore the development of your favourite German Bundesliga club’s goal difference (GD) until matchday 15 in the current season (2018/ 19). In my last post I’ve shown the overall German Bundesliga table after matchday 13 compared to last season. Now have a go and check how each club’s goal difference (GD) has developed over time by filtering this new report accordingly. You can as well see the club’s current (=after matchday 15, season 2018/ 19) position in the German Bundesliga table.